Handmade holiday decorations are a great way to dress up your home in a unique way. In this workshop, participants will learn to construct a holiday stocking from reclaimed fabrics. You’ll learn to work from a pattern, practice sewing curved lines, and add a lining to your stocking. Bring your own fabrics, or plan to work from a selection of reclaimed fabrics at Perennial. 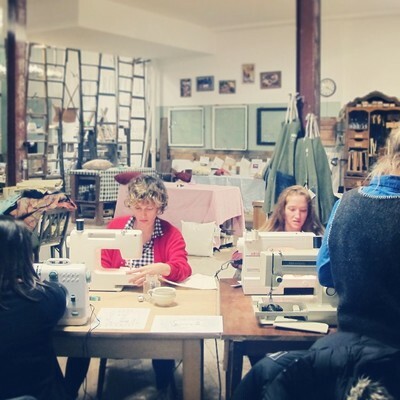 Before participating in this workshop, students will need to take our Sewing Machine Basics workshop or have basic knowledge of how to use a sewing machine. Students should bring their own fabric if they have a strong preference, or plan to choose from some reclaimed fabric options at Perennial. Students may also bring their own machine if they prefer.